Episode 363 - The Allied Shinobi Forces Jutsu! The barrier is shattered, and Ten Tails appears! With unfathomable power in its attack, it sends shock waves through the air! Kurama takes the lead and tries to go on the offensive, but is helpless against Ten Tails' immense strength. The Allied Shinobi Forces begin their onslaught against Obito and Madara. But Ten Tails suddenly transforms and hurls powerful Tailed Beast Bombs toward distant towns. Naruto is overcome with grief over Neji’s death, but Hinata's words restore his fighting spirit. Sasuke returns to the Hidden Leaf Village seeking answers, and standing before him are First Hokage Hashirama, Second Hokage Tobirama, Third Hokage Hiruzen, and Fourth Hokage Minato, all reanimated. Villages did not exist when Hashirama was a child. It was during this strife-filled time that he met Madara Uchiha. Madara and Hashirama eventually become the leaders of their respective clans. 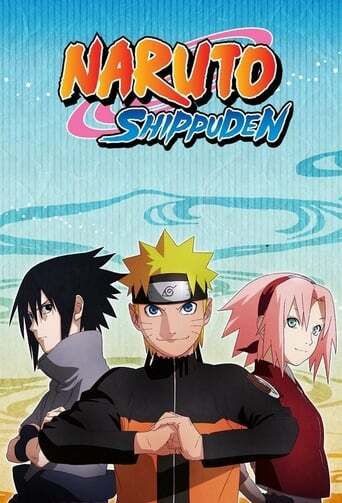 The Senju and Uchiha clans join together to build a shinobi village and fulfill their dreams. After listening to what Hashirama and the rest of the former Hokage have to say, Sasuke finally understands how the Leaf Village and its shinobi came to be. The fighting rages between Naruto, who stands at the vanguard of the Allied Shinobi Forces, and the team of Madara and Obito.